On Jan. 2nd, the National Hockey League announced the rosters for the All-Star weekend festivities in San Jose. 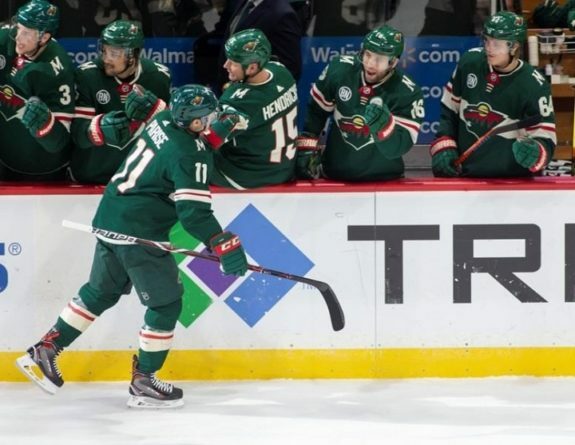 Fans in Minnesota expected to see Zach Parise’s name on the Central Division roster and represent the Minnesota Wild later this month. Unfortunately, that isn’t the case. Parise was snubbed of an All-Star spot even though he is deserving of one. In 38 games played, he has recorded 35 points (18 goals, 17 assists), including a game-winner yesterday against the Toronto Maple Leafs. He’s also tied for second on the team with a plus-six, only behind Charlie Coyle’s plus-seven. Parise is consistently involved in each game he plays, which is the direct result of his puck-first mentality. This is something that he has done well throughout his career with the New Jersey Devils and Wild. He wins one-on-one battles around the net, along the boards and in corners. He creates scoring chances by doing so. What more could you ask for in a hockey player? He isn’t shy of taking a hit to make a play or give a hit to win a puck. He’s tenacious, energetic and a leader. He’s a guy that players look up to and can learn from, which is crucial to rookies and other young up-and-comers who need a little motivation. Though the Wild have not had an ideal season, Parise is making his case to be an All-Star. The 34-year-old is playing tremendous hockey on a struggling team. 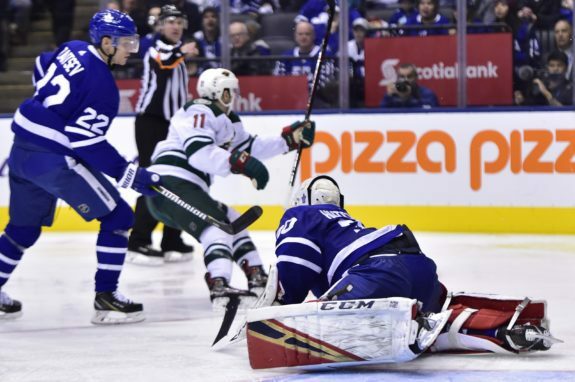 They’re experiencing inconsistent scoring, shaky goaltending and an untrustworthy defensive core since Matt Dumba’s injury back in mid-December. It’s been evident these past couple of weeks that Parise should be boarding a flight to San Jose later this month. In Parise’s last 11 games, he’s notched 12 points (5 goals, 7 assists). He recorded a goal and an assist in yesterday’s 4-3 win against the Maple Leafs, which tied him for first on the Wild with nine multi-point games this season. It’s hard to argue why Parise wasn’t picked. Look at how stacked the Central Division roster is this season. Forwards Patrick Kane (CHI), Nathan Mackinnon (COL), Mikko Rantanen (COL), Ryan O’Reilly (STL), Mark Scheifele (WPG) and Blake Wheeler (WPG), defensemen Miro Heiskanen (DAL) and Roman Josi (NSH) and goaltenders Devan Dubnyk (MIN) and Pekka Rinne (NSH) are among the 10 men. That’s a lot of firepower. 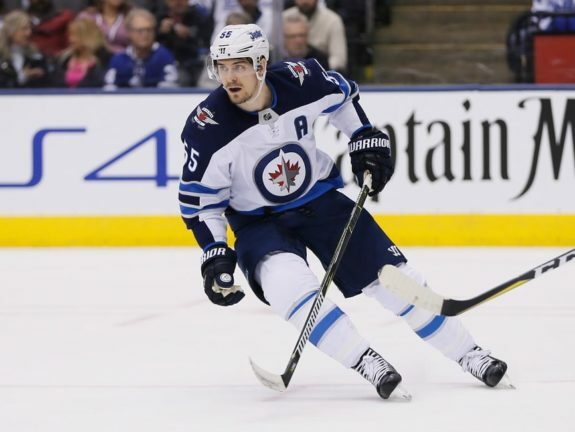 If we focus on the forwards, like Mikko Rantanen with 17 goals and 62 points, Patrick Kane with 23 goals and 51 points and Mark Scheifele with 22 goals and 49 points, you have to stop and say those guys are on a different level this season compared to Parise. They all have been consistent throughout the season, whereas Parise’s scoring has been streaky at times. Rantanen is leading the Central Division scoring race with 62 points. There is no doubt he deserves to play in his first All-Star game and represent the Colorado Avalanche in San Jose. Kane’s 51 points thus far have been interesting to watch. The Chicago Blackhawks have been put in a position they haven’t experienced since the 2007-08 season. They missed last year’s playoffs and have been slowly making their way up the standings this season. With his skillset, scoring abilities and dedication, it’s obvious that his eighth All-Star Game is one he deserves. The Winnipeg Jets run this season has been impressive and it’s been a result of the leadership from Wheeler, a Minnesota-native. He creates plays and sets up his teammates, as evident by his 44 assists. That’s unreal considering he’s only lit the lamp six times this season. He helps spark a deep offense, which has contributed to Scheifele’s All-Star selection too. O’Reilly’s 15 goals and 37 points on a slow St. Louis Blues team that sits nine points out of the second wild card spot, to me, is interesting, and also a bit surprising. Most would expect to see Vladimir Tarasenko play, but O’Reilly has been the guy for St. Louis this season. The Blues have not reached the level they want to play at, but O’Reilly has been a solid center for them and shows it each night. If the votes for this Central Division roster were up to me, I would have swapped O’Reilly with Parise, but I can’t do that. Parise is at least allowing his team to build off his scoring and helping them get back into playoff position. They are slowly climbing up the standings and you can see Parise’s work ethic every game he plays in. The Central Division is arguably the toughest division in the NHL and the names you see attending this year’s All-Star Game are deserving of the honor. It’s just tough to see someone like Parise get snubbed. Correct. For the first time in NHL All-Star Game history, the league introduced a Last Men In voting poll. You can vote here for other players who could’ve made it but didn’t. Deservedly so, Parise’s name is on the ballot. You are allowed to vote 10 ballots every 24 hours and have until 11:59 P.M. ET on Jan. 10th to do so. Parise and the Wild have less than a week to solidify his run at an All-Star spot, despite not being included on the original roster. I feel as though he will continue to contribute to Minnesota’s success in the coming weeks of January, regardless if he doesn’t receive an All-Star spot on the second try. If he doesn’t, it’ll fuel him to play even harder, and honestly, it might be the best thing for him and this Wild team. He has been a huge factor and has played an important role on this club so far this season. Behind Mikael Granlund, Parise is second on the team in points and is contributing in almost every aspect on the ice. Shot blocking, killing penalties when needed, scoring opportune goals and playing with purpose. He’s the definition of a captain, even though he only wears an “A” on the front of his sweater. Parise will continue to be a catalyst on this roster each and every shift. At the level he’s playing, I believe that Parise could be registering a point-per-game by the All-Star break and will continue to prove to doubters why he’s deserving to represent the Wild in San Jose.